We all know someone who just has to have the "biggest and the best". The go big or go home mentality is definitely alive and well with this type of person. I know someone like this and he is my brother-in-law. Both he and I participate in Handgun Metallic Silhouette matches on a huge 500 metre outdoor range with the closest targets at 50m and the farthest at 200m. I use a .44mag and a .45acp and just go out to enjoy my shooting. It's great to be at the range and burning powder. I received a call from him last night and he needed to load some ammo for his newest purchase, A Smith & Wesson .460 magnum. He brought it along for me to have a look at. I have held the .460's and .500's at the NRA Convention in 2014 and a friend also has a .500 so I wasn't surprised by its dimensions. When you put it beside other model Smiths, you come to the realisation that these things are over the top stupid, but in a fun way. I get great pleasure from shooting my .44mag and can happily shoot it a heap because it's very manageable. The .38 is a gun that I can and have shot all day long. I think after about 10 rounds shooting the full house .460 I will have had enough, probably until next year, unless I am shooting softer loads in it. The beauty of the .460 is that it can also shoot .45 Long Colt and also .454 Casull ammo. 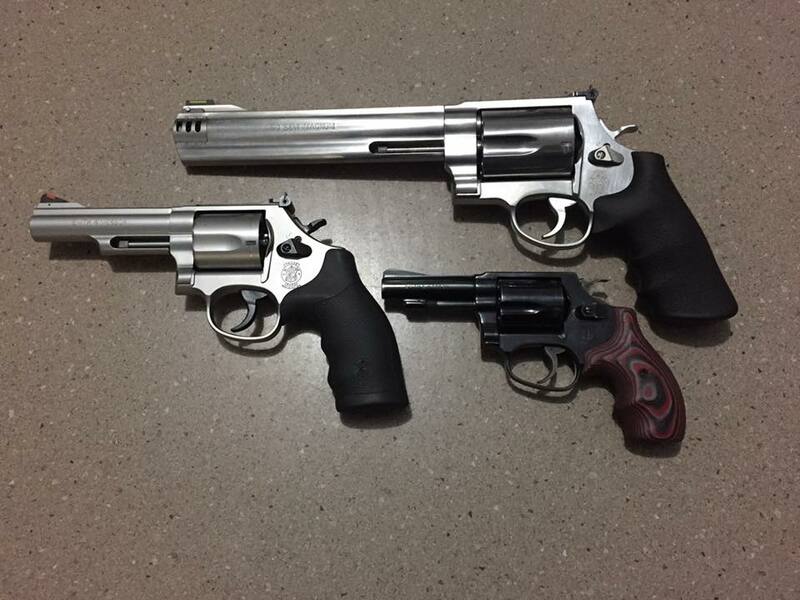 I will be doing some videos with all three of these revolvers and I'll post them here along with a full range report. Please support The Firearm Adventures by clicking on an ad. Doing so helps keep the site alive. Thats one hell of a handgun,I think I want one now!